Andre ‘Kirk’ Agassi was born on April 28, 1970 at Las Vegas, Nevada. He father was a native of Iran who had also represented his country in boxing at the Olympics. Agassi was a natural athlete who adapted his body to tennis very well. At the age of 13, he dropped out of school to pursue tennis as a profession. At the age of 16, Agassi turned Pro and player his first tournament at La Quinta, California. His raw talent helped him win a number of matches, as a result of which he was ranked No.91 in the World by the end of the year. His first title triumph was at the Sul American Open in 1987. He had climbed in the rankings to become World No.25 at this point. In 1988, he won six tournaments and was now ranked No.3 in the World behind Mats Wilander and Ivan Lendl. This child prodigy had almost reached the top of the tennis world in a matter of two years. That year his career earnings crossed $1 million after participating in just 43 tournaments. He made it to the French Open semifinal in 1988 and into the U.S. Open semifinal in 1989. 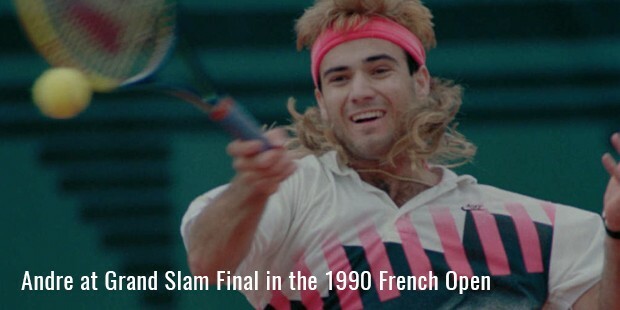 He reached his first Grand Slam Final at the 1990 French Open. After facingloss of form during the 1993 season, Agassi came back during the 1994 season, performing well throughout the year accumulating in his victory at the U.S. Open by beating Michael Stich in the final. He continued his form into next year by winning the Australian Open by beating long time rival Pete Sampras. That year he compiled a career best streak of 26 continuous match victories. He ended 1995, with a total of 7 titles including the Australian Open. He reached the World No.1 position for the first time in April 1995 with a total of 73 wins and just 9 losses that year. 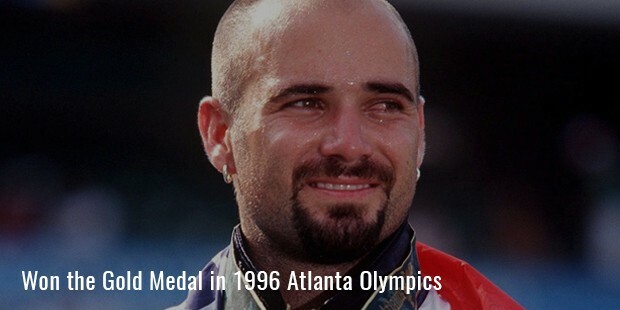 He won the Gold Medal in the Singles competition at the 1996 Atlanta Olympics.In 1990, he helped the U.S. Team win the Davis Cup and also beat Wimbledon champion Stefan Edberg to win the Tennis Masters Cup. His first Grand Slam win came at the 1992 Wimbledon where he beat Goran Ivanisevic in a five set match. 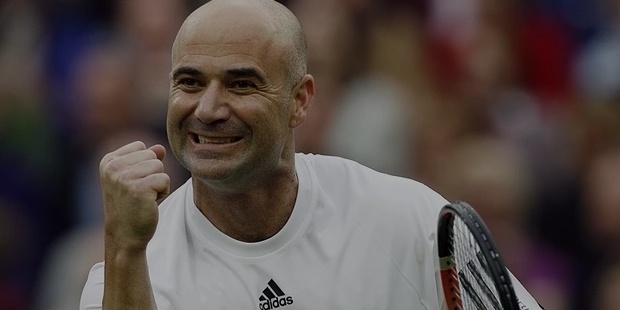 Agassi had to beat former Wimbledon champions John McEnroe and Boris Becker on the road to the finals. 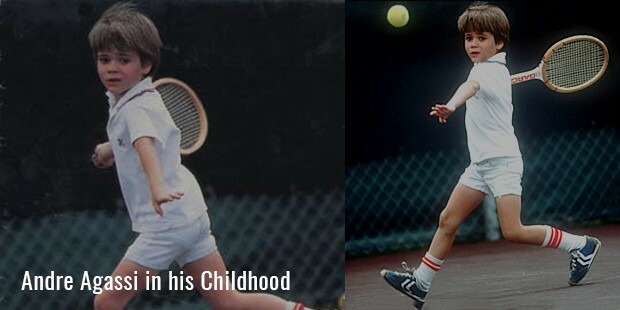 He had now become the face of tennis in the U.S. In 1992, he was again part of the Davis Cup winning U.S. team. His lost his form in 1997 was worsened by a wrist injury, which kept him out of most of the season. In the year 1998, he jumped from No.110 in the world to No.6 by winning five titles. In 1999, Agassi won the French Open by coming back from two to love in a dramatic win over Andrei Medvedev. He became only the fifth player in history to win all four Grand Slams in their career. In 1999, he also won the U.S. Open. He had successfully comeback from nowhere to be a top contender for every Grand Slam title. Next he went on to win the Australian Open in 2000, 2001 and 2003. 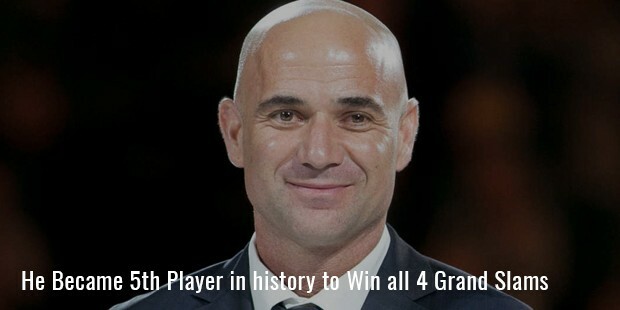 Agassi has earned more than $30 million in prize money in his career. Apart from the tennis, Agassi’s popularity was such that he earned nearly $25 million from advertising every year during his career. From having numerous setbacks in his career, Agassi can be called the ‘comeback king’ who came back strong after each setback. He has truly become one of the most celebrated sportsmen on the planet with his achievements and flamboyant personality.